1. Electron Ionization LC-MS: What is it and why use it? Advances in the Use of Liquid Chromatography Mass Spectrometry (LC-MS): Instrumentation Developments and Application, Volume 79, highlights the most recent LC-MS evolutions through a series of contributions by world renowned scientists that will lead the readers through the most recent innovations in the field and their possible applications. 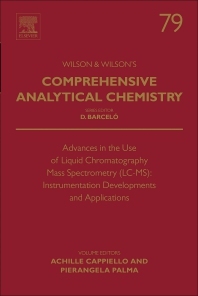 Many authoritative books on LC-MS are already present in market, describing in detail the different interfaces and their principles of operation. This book focuses more on new trends, starting with the innovations of each technique, to the most progressive challenges of LC-MS.